Today is the G-force of Kin 139: Blue Solar Storm, which is Princess Diana’s Galactic Signature. The G-Force of Lunar Serpent is Kin 7: Blue Resonant Hand. The PSI for Lunar 9 is Kin 21: Red Galactic Dragon, the G-Force of 11.11, Valum Votan’s Signature. Today, Lunar Serpent, is the first Magic Turtle Day of the Lunar MonKEY Moon. BOTTOM of Radion Cube. Place _____TIME on RIGHT face of Cube for Codon 6. Second year of Prophecy: 1995-1995. Second Solar Witness, Kin 195 Reawakened: Blue Cosmic Eagle Flies Again. TELEKTONON Day 9: Baktun 9: AD 41; Lords of the Red & Black. Pacal Votan witnesses Triumph of 13:20 civilization in New World; Teotihucan & Tiwanaku, confirms teachings of Kontiki Viracocha. “Dr Rubbia says a tonne of the silvery metal – named after the Norse god of thunder, who also gave us Thor’s day or Thursday – produces as much energy as 200 tonnes of uranium, or 3,500,000 tonnes of coal.” Not sure yet if this is good news…it brings to mind the precious element that caused the plundering of Pandora in Avatar. Europe ran out of flowers as tons of flowers were placed upon an impromptu memorial outside Kensington Palace. The power of the people managed to stir the Royals into action, resulting in her highly ceremonial Funeral at Westminster Abbey. Two year’s later, psychologists were still reporting unprecedented levels of depression in people who may have also been reacting to the realization that the death of the most beloved and powerful woman in the world was not an accident. 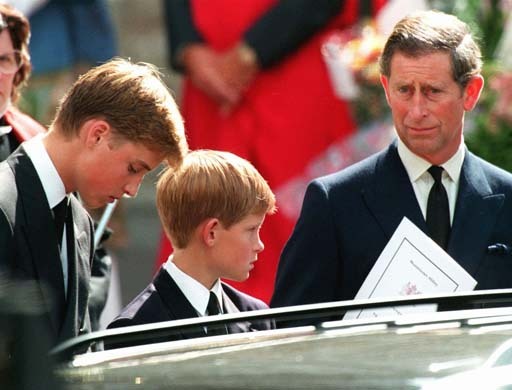 Princess Diana left a stunning legacy, in the form of her two sons, William and Harry, whom she loved more than anything in the world. Althorp, the regal home into which Princess Diana was born, and which contains her final resting place in the center of this lake. Diana was buried with a rosary which was given to her by another great Humanitarian, Mother Teresa. Mother Teresa was planning a huge memorial for Princess Diana, when she, too, suddenly died 5 days after our Queen of Hearts. The island is in an ornamental lake known as The Round Oval within Althorp Park’s gardens. A path with thirty-six oak trees, marking each year of her life, leads to the Oval. Four black swans swim in the lake. In the water there are water lilies, which, in addition to white roses, were Diana’s favourite flowers. Our QUEEN of HEARTS continues to inspire and to exemplify LOVE and the DIVINE FEMININE. I Polarise in order to Survive, Stabilising Instinct. I seal the store of Life Force with the Lunar tone of Challenge. I Unify in order to Target, Attracting Awareness. I seal the input of Flowering with the Magnetic tone of Purpose. TOP of the Radion Cube. UR EARTH 3: Lunar Earth Heaven in the Cube. During White Week Three, we are building the White Antipode Time Atom. Each day corresponds to a fractally time-compressed Year. Day 8 correlates to 1993-1994, and the First Solar Witness: White Crystal Wizard, which coded the day the Tomb of the Red Queen was discovered on June 1, 1994. Today in the 7:7::7:7, we “Target the 144,000“, which synchronizes perfectly with today’s Kin 144. This Day-out-of-Time Crop Circle at Round Hill in Wiltshire has inspired several colorful renditions. This one reminds us of the 5 crescents, representing the Red Overtone Moon Year. Its Mayan motif could mean that the inner 2 dots represent 2×20=40, plus the 1 dot for one equals 41: Interval of God. Today’s Postulate 4.1 can also be interpreted as representing Kin 41: Lunar Dragon. This Lunar Monkey Moon (11.2) and Overtone Moon Year (9.5) equal 20.7, the Pacal Votan Clear Sign of Resonant Sun. Today (4.1) combined with 20.7 equals 4.8, Yellow Galactic Seed which codes James, and our Galactic Synchronization in 2013. In the link provided by S’ace, Solar Wind today, David Icke states his belief that “2013 is more significant than 2012“. It’s great to have his voice also confirming the positive and more significant “Target” of 2013, beyond the fear-laden 2012. 143 is the sum of three consecutive primes (43 + 47 + 53), as well as the sum of seven consecutive primes (11 + 13 + 17 + 19 + 23 + 29 + 31). But this number is never the sum of an integer and its base 10 digits, making it a self number. Every positive integer is the sum of at most 143 seventh powers (see Waring’s problem)”. Kin 143: Cosmic Night codes Silio 7; the End of Wavespell 11, and Start of the Lunar Cube Journey. I Endure in order to Dream, Transcending Intuition. Happy Galactic Birthday Reimar! Today’s Guide is Kin 247 (19×13) Blue Cosmic Hand, which codes Burbuja 33, and the Antipode is Kin 13, Cosmic Skywalker. The G-Force of Cosmic Night is Red Magnetic Earth, and the PSI for Lunar 7 is Kin 18: White Overtone Mirror. RADIATE LOVE, WISDOM and HEALING to all of CREATION. 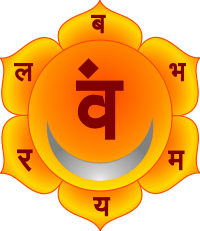 TELEKTONON Day 7: Baktun 7: BC 747; MIND TEACHINGS. Pacal Votan diverts the lost tribes of the 144,000 into the Cube of Intelligence. Today is Michael Jackson’s Solar-Galactic Return: He was born 52 years ago, on Blue Cosmic Night. Kin from at least 4 continents joined our synchronized journey to the Earth’s Octahedral Core, where we telepathically cooperated with the Radial Plasmas. Rainbows witnessed by several Kin seemed to smile upon our intention to manifest the Circumpolar Rainbow Brige. Your participation is greatly appreciated, and your feedback is welcomed, so we may learn, in preparation for our next practice on Crystal Eagle, on Lunar 19. I Dedicate in order to Communicate, Universalizing Breath. I seal the input of Spirit with the Crystal tone of Cooperation. The Guide for our magical journey today is Kin 194, White Crystal Wizard which is the First Solar Witness, and which coded the discovery of the Tomb of the Red Queen. Antipode Red Crystal Earth reminds us of our destination during today’s Round Table. The Antipode is 12.12, Yellow Crystal Human, which codes the (local) Watch and time of our Round Table, and today’s Tower. The G-Force of Crystal Wind is Spectral Seed. The PSI for Lunar Limi 6 is Kin 39: Blue Cosmic Storm. LIMI 6: Purify; Solar Plexus: “I consume dualistic thoughts as food. I purify the Mental Electron at the North Pole.” LEFT side of the Radion Cube. UR EARTH 2: Solar Earth, Foundation: Prophecy Tower. Katun 6: 9.18.0.0.0. -AD 791. 6th Solar Witness: Kin 166; Blue Self-Existing Storm. TELEKTONON Day 6: Free Will Tower; coded by Seal 12 Human Wisdom. Baktun 6: BC 1141. Imperial Seal King Wen completes I Ching 8×8 (64). Pacal Votan uses Free Will to claim the 7 seals of Prophecy, storing them in the center of the Earth. Details of our Crystal Wind Round Table are in the Spectral Dragon post. Due to technical problems and time constraints, today’s post is abbreviated. I Dissolve in order to Nurture, Releasing Being. I seal the input of Birth with the Spectral tone of Liberation. Today’s Antipode is 11.11: Spectral MonKEY. The G-Force is also a MonKEY: Galactic. ALPHA 5: Release; Throat: “I consume dualistic thoughts as food. I purify Mental Electron at the North Pole.” RIGHT side of the Radion Cube. TELEKTONON Day 5: Baktun 5 –B.C. 1536; House of Shang. 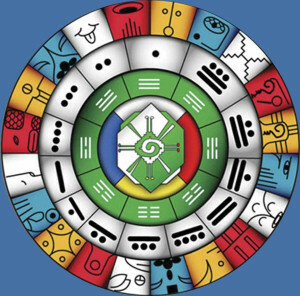 Pacal Votan places in order the “Book of Clear Records” and sends King Wen the vision of 7 as 64 hexagrams (1, 2, 4, 8, 16, 32, 64) Focus on the number of Cosmic Form: 4. We will gather at the natural amphitheater (now believed to be the true Round Table, which could accommodate up to 1,000 kin) on the lawns of King Arthur’s Castle; Camelot. This gives us 7 minutes to connect and breathe Spirit together. May wisdom dawn in us, so we may see all things in clarity. may their blessings be with us now. The Star People indicated this ‘bottomless pit’ near the castle which is thought to contain King Arthur’s sword: EXCALIBUR. Letting this magical sword guide us on a counterclockwise spin through the Zuvuyu feels like a wonderful way to reach the Octaherdal core. This graphic (or rather, it’s mirror image) of the crop circle that appeared in Basiano, Italy on Spectral 28 coded by Blue Crystal MonKEY (May 29th, 2010) can represent our counter-clockwise spiral descent to Earth’s Octahedral Core. This circle found near Munich on Cosmic 20 (13/20) coded by Kin 99: Blue Galactic Storm can represent the 441 Cube of Truth kin and the Star People gathered together. (Though there will be more than 9, that number brings to mind our 9 Bolontiku’s. This Formation: conveys the feel as we get closer to our destination. (Found on Cosmic 4; Blue Overtone Night (June 30th) at Scheen, Germany **initials=19.7, Noosphere Constant** The exterior point can represent our Round Table at the circular amphitheater, where we will regather at the end of our journey. 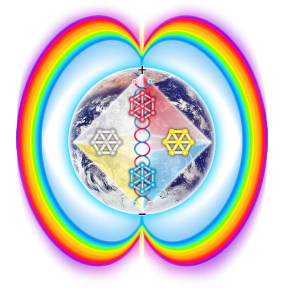 “One purpose of the Rainbow Bridge Meditation is to generate a telepathic Wave of Love that connects ourselves with the Center of the Earth, and to help stabilize our Earth. ***The ultimate goal is to manifest the Earth’s Rainbow Bridge- (the Day-Night alternators of our Earth’s magnetic field) by December 21, 2012. ***The Rainbow Bridge will also signal that we. as a species, have been able to unify and cooperate spiritually and telepathically. *** It is the Bridge of Peace, long-prophesied, that will permanently connect the Third-dimensional Earth with the Fourth and higher dimensions, assuring a lasting Peace and Harmony. Take a few deep breaths. Dissolve any thoughts and negativity. Inhale Purity and Peace. Close your eyes and be at Peace with the Earth, Lord Seven Earth, the 9 Lords of the Ring, the Star People and each other. Feel the Trust and Love permeating through all. See the Analog-Antipode Tetrahedron above you as a Pyramid with two Red sides and two White sides. Connected to the base of it is the Blue and Yellow Occult-Unified Field Tetrahedron/Pyramid, which points South. These form the perimeter of the Octahedral Crystal Core, which contains us and the 4 Time Atoms, surrounding us. We are gathered around the intensely blazing point of White Light in the center of the 8-sided core. An etheric column of White Light extends from the blazing center, through the North and South Poles at the Earth’s exterior. Around this vertical etheric magnetic axis of light are two spiraling Flux Tubes, through which Plasmic energy is continuously passing. Coiled around each other like two strands of DNA, the Flux Tubes deliver Plasma (electrically charged ions) which enters through the Earth’s Poles, to the blazing point at the center of our Earth. Visualize the Red Tube spiraling and carrying Positive ions from the North Pole, and then see the entwined Blue Tube carrying the Negative Charged Ions from the South Pole to the Earth’s Center. At the Northern Pole above us is a cube which is the Red Analog Time Atom. See it spinning Clockwise. Then, below us, see the Blue Occult Time Atom. It is spinning Counter-Clockwise. Where the bases of the two Pyramids/Tetrahedrons forming the Octahedron Crystal Core meet, imagine the Horizontal Gravitational plane of the Earth. Then, on this horizontal plane visualize two more Time Atoms; The White Antipode Time Atom is on your Left, and the Yellow Unified Field Time Atom is opposite it, on your Right. These two Gravitational Time Atoms make a slow Counter-Clockwise motion around the central blazing point of luminosity, and they Stabilize our beautiful planet. We take time to clearly see the Crystal Core of the Earth, with it’s 8 faces. See the Red Northern Time Atom spinning clockwise, while the other three Time Atoms are spinning counter-clock-wise. Watch the entwined Red and Blue Flux Tubes spiraling around the vertical column of White Light. Now, from the blazing center of the EARTH’s Octahedral Core, we see a great stream of multi-colored Plasma-filled light shooting out in both directions, towards the North and South Poles. Visualize and feel these Rainbow-colored streams extending through your central column, which is now aligned with the Earth’s axis. See the one above your head going through the Earth’s North Pole, making a huge Rainbow arc in front of the Earth, forming the Earth’s Day alternator, which always faces the Sun. Then, see the Earth’s Night alternator, as a multi-colored stream, flowing through the bottom of your feet, through the South Pole, and forming a huge Rainbow behind us and the Earth. These two Rainbow Streams connect the North and South Poles of the Earth, exactly 180 degrees apart from each other. As the Earth slowly revolves on her Polar axis, this Rainbow Bridge remains steady, constant, unmoving in it’s relation to the Sun. We hold this vision within our Hearts and feel the Peace, as the beautiful Rainbows surround us, and the Earth. See the full spectrum of RED, ORANGE, YELLOW, GREEN, BLUE, INDIGO and VIOLET encircling us. Know that we and the Earth are one. The Rainbow Bridge of World Peace is real. 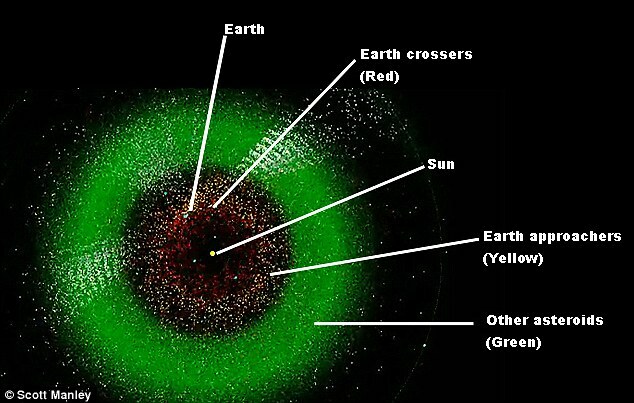 There is a science behind this, and what we are visualizing now, will be seen by all in 2012. 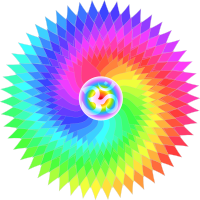 Now, let these colorful Rainbows permeate into our Earth and into our aura, so our connection with the Earth remains, as we return to our deep breathing, in preparation for our spiral ascent to the grass amphitheater which is our Round Table. When all feel ready, we return to the Earth’s surface and regather in our Round Table. Here is an opportunity to Thank the Star People for the beautiful ART and Guidance they provide. We acknowledge the 6 fully awakened Bolontiku, and the Seventh one we are now awakening: Yellow Overtone Sun. These are the 7 of the 9 Bolontiku who sacrificed their electrical codes, trusting that we will do our part in reawakening them, and in cooperating to save our Earth. Now, let’s quiet our minds to receive any messages that the Star People, the Bolontiku and Spirit may wish to impart on this Crystal day coded by Wind: Spirit and Communication. The first 3 Kin to signal their participation in our Crystal Wind Round Table were three ‘Magical Maidens’: Christine, Electric Skywalker, Melovia, Crystal Moon and Moi, Planetary Serpent. 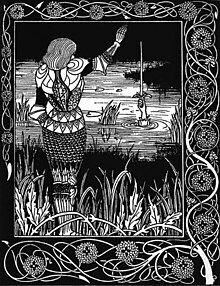 An important part of the lore of Camelot and Excalibur are the three ‘Ladies of the Lake’. With Moi strategically on the East Coast of North America, Christine on the West Coast, and Melovia anchoring the North, they form a triangle on “Turtle Island”. 🙂 Together, these three women are a Pacal Votan Clear Sign: Blue Solar Hand; 7.9 also signifies the 7 of the 9 Bolontuki, and the 7 + 9 days of the 16 day Cube Journey. We’ll interpret this as Pacal Votan’s blessing of them serving as the Ladies of the Lake for our first synchronized journey via Excalibur to the Center of the Earth; where Pacal Votan spent 78,000 years of vigilant meditation on behalf of Earth and our Salvation. Our Galactic Synchronization Crew 154 are near the Law of Time, and are empowering the MonKEY bio-region. The Spectral Wizard GSC includes Sarah, who codes this Red Overtone Moon Year, Rachel who as Blue Rhythmic Night is TMQ’s Occult, and Michael, Cosmic Wind, who recently was with Pacal’s current incarnation; Valum Votan, when he spoke about the importance of manifesting the Circumpolar Rainbow Bridge. Their local time, 12:12 Pacific Daylight Time determined when we would begin our Round Table. We are glad to welcome our newest Kin, who is the first of our South American readers to reveal himself: PEDRiN56 from Brasil. 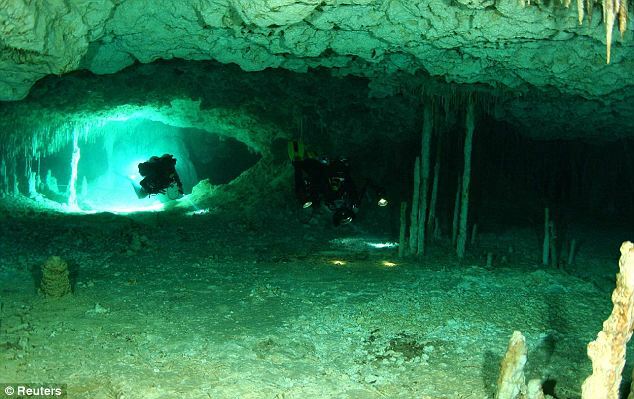 He provides a conscious presence to the South of the Mayan civilization. Scott in Eastern Canada and PEDRiN64 in Brasil create an anchor in the North and South. In Europe, it will be the 19.2; Lunar Storm watch when they join the Round Table. S’ace Solar Wind matches the Seal coding this Crystal Round Table, and Reimar, Blue Cosmic Night codes the day it will be for Kin in the Southern Hemisphere: Blue Cosmic Night, during the Watch coded by Burbuja 33: Blue Cosmic Hand. Mikekiwiallegiance Overtone World-Bridger, TMQ and others will be invoking the Star People at 7:12 a.m., a reminder of the Crystal Hand that codes 12/21/2012; which in turn reminds us of the 144 (12×12) Community of the 441 (21×21) Cube of Truth. Code=E Lunar Skywalker named us, and he is telepathically joining us from the heart of Turtle Island and the Noosphere. There are so many numbers, crop circles and synchronicities that provide powerful support for this inaugural synchronized Crystal Wind Round Table. All readers are encouraged to join in. One needn’t understand the ‘codes and language’. All that is required is your sincere intent. We are synchronizing in time and with each other so that together we connect with Spirit, practice manifesting the Circumpolar Rainbow Bridge, and bring the MAGIC of CAMELOT and EXCALIBUR to life! Kin: 39; Blue Cosmic Storm. I Perfect in order to Enlighten, Producing Life. I seal the matrix of Universal Fire with the Planetary tone of Manifestation. The G-Force for Planetary Sun is Kin 18: White Overtone Mirror, and the PSI for Lunar 4, 5 and 6 is Kin 39: Blue Cosmic Storm :). Kin 140 and it’s Occult, Kin 121: Self-Existing Dragon, are the first and last Kins of the 7th central column. Catalytic Blue KALI 4: Establish/Catalyze; Secret Center/Swadhistana: “My name is the glorious lotus-born. I catalyze the light-heat within.” Create the BACK of the Radion Cube and of the Cube for Codon 64: PREPARED. TELEKTONON Day 5: Baktun 4: BC 1930; Sacred Mountain. Focus on 5: Power of the Fifth Force. Codon 64: Prepared: ‘Galactic Octave Unifies the Dimensions’ describes our goal on the Galactic Synchronization; 2013, coded by Kin 164: Galactic Seed. Here is a synchronicity that may demonstrate others unconsciously tapping into the Noosphere. During the past 36 hours, TMQ received speaking invitations from two different organizations, who each picked the day before phoning. The first date is Lunar 28 (9/19), coded by Yellow Galactic Seed, and the other is on Self-Existing 15 (11/1) coded by Kin 207: Blue Crystal Hand. How interesting that they chose the two Kin that code the 2013 Galactic Synchronization, and the 12/21/2012 Solstice! On this 10th day of the MonKEY Wavespell, and 4th day of the Lunar MonKEY Moon, here is a photo of an Indonesian monKEY who has adopted a kitten, which is quickly becoming a cat: Humans need to be showing that sort of compassion for each other. 800,000 Pakistanians are now stranded, and can only be reached by air. This is the worst humanitarian disaster in recent history. http://www.telegraph.co.uk/news/picturegalleries/worldnews/7939312/Pakistan-floods-disaster-is-the-worst-in-the-UNs-history.html 14 million people are affected by this calamity, and Islamic charities are being prevented from helping. Tomorrow, Spectral Dragon (1.11) we will ‘meet’ our newest Kin, and detail our plans for the synchronized Crystal Wind Round Table at 12.12 the following day. I Pulse in order to Catalyze, Realising Energy. I seal the matrix of Self-Generation with the Solar tone of Intention. Today’s G-Force is Kin 145: Red Lunar Serpent. This is the last PSI day coded by Kin 22: White Solar Wind. GAMMA 3: Pacify; Third Eye: “My lineage is the union of intrinsic awareness and the ultimate sphere. I attain the POWER of PEACE.” FRONT of Radion Cube. Katun 3 (9.15.0.0.0. AD 732) coded by third Solar Witness Yellow Magnetic Warrior. TELEKTONON Day 3: Baktun 3: BC 2324; The Wheel. Pacal Votan enters the meditation that moves the Wheel. Princess Diana exemplified the Compassionate One, and as a Solar Storm, embodied the enlightening and catalytic energy of Divine Loyalty and Unconditional Love. It’s interesting that her G-Force, Red Lunar Serpent codes the 13th anniversary of her death on August 31. I was in Paris when Princess Diana died, and after a phone call from the U.S. relayed the tragic news, was one of the first mourners at the Ponte D’Alma Tunnel. That morning I began collecting every newspaper and magazine available, for the next two years -even the ones in French. The front page articles in the French newspapers that day said she had sustained a broken arm, but no life-threatening injuries. The two hour ride in an ambulance to the Pitie-Saltpetriere Hospital only 10 minutes away is where Diana became mortally wounded. The (still) unprecedented global outpouring of grief upon learning that the most famous woman in the world had died, shows that she truly is also the most beloved woman: our Queen of Hearts. Princess Diana symbolizes the Divine Feminine, and her son, Prince William, Resonant Wizard has so many signs (including his auspicious birth on a Solar Eclipse during the Summer Solstice) that he is destined to play a magical role in the Return of Camelot. idea for this Round Table beginning at 12:12 p.m. during the 12.12 watch of White Crystal Wind. All suggestions and ideas for our first synchronized Crystal Wind Round Table are happily welcomed. Details, including your input, and/or who will ‘be there’ will be discussed in the post on Kin 141: Spectral Dragon. At this point, the vision begins with us sitting in a circle on the green lawns of Cadbury Castle, then taking the Zuvuya through the bottomless pond thought to contain EXCALIBUR, to the Crystal Core of our Earth for our Rainbow Bridge Meditation. Recent crop circles drew our attention to these places. Our sacred ritual has begun!